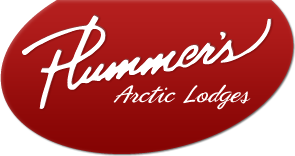 We go above and beyond to ensure your success starting the hunt at our main lodge on Great Bear Lake with all the amenities and famous lake trout fishing. We have outstanding guides and Musk Ox herds are found all around this great lake. Flights by float plane to position hunters in proximity to the herds around Great Bear Lake is included as necessary. This hunt is conducted as a joint venture with Grey Goose Outfitters. Dates: August 18-25, 2018. Six day hunt. Includes: Air transportation to and from Yellowknife to the camp, meals and accommodations, air transport into the field to access herds, 1 guide per hunter, hunting license, tags, fishing license, transport of meat and horns to Yellowknife, field handling of meat and trophy. Not included: Lounge/liquor, trophy fees paid in Yellowknife to Conservation Officer, tax (5%) Gratuities for Guides and Hospitality Staff. Transportation: Fly to Yellowknife NWT and we will take you by air charter to the main lodge and move you into the field from there with our own aircraft.